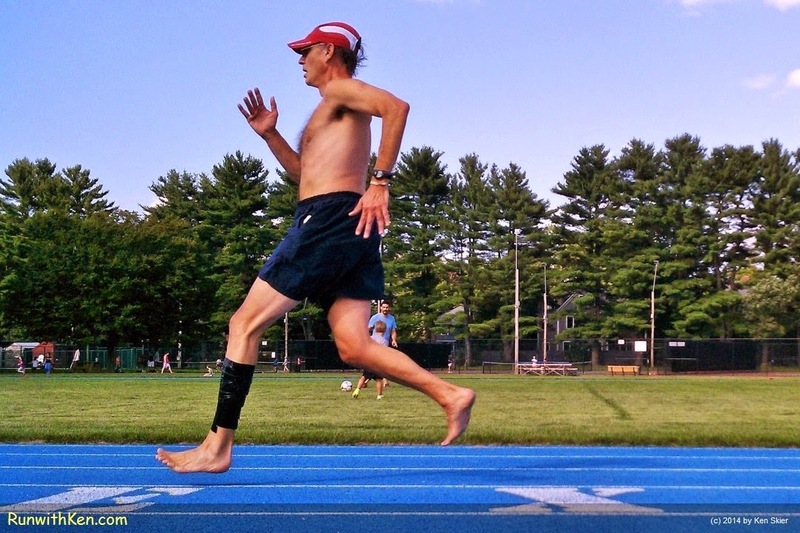 Barefoot running--or is he FLYING? Midsummer run in Lexington, MA. tape on the runner's calf. The runner is recovering from a calf strain. You're wondering about the shoes? Barefoot running is a very gentle form of running. Very easy on the knee. I'm not suggesting that you run without shoes. But it sure works for me!